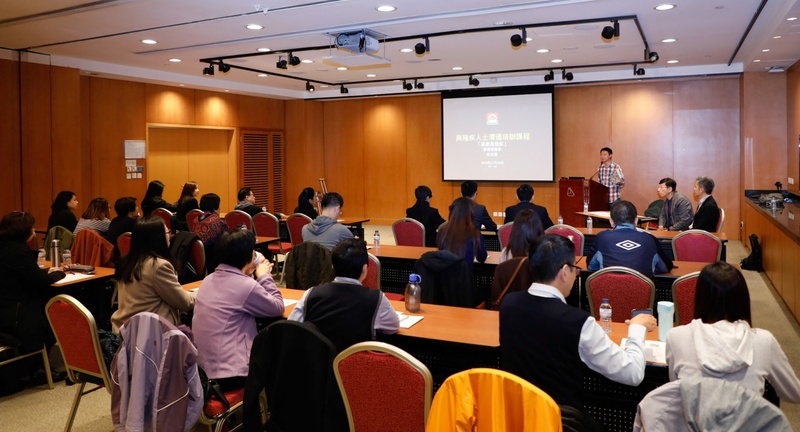 In parallel with the scheme implemented by the Macao Special Administrative Region Government to create an optimized barrier-free environment in Macao, Macao Government Tourism Office (MGTO) organized a training session titled “Communication with people with disabilities” for its staff on 26 November to upgrade their service for people with special needs. Also, under the umbrella of the “Celebrity Mentor” Workshop Series, the themed workshop on “Sales and consumer mentality” was presented on 27 November by MGTO in collaboration with Sands Retail Academy to optimize retail service quality in Macao and lead the local retail trade towards an advanced level of professionalism. 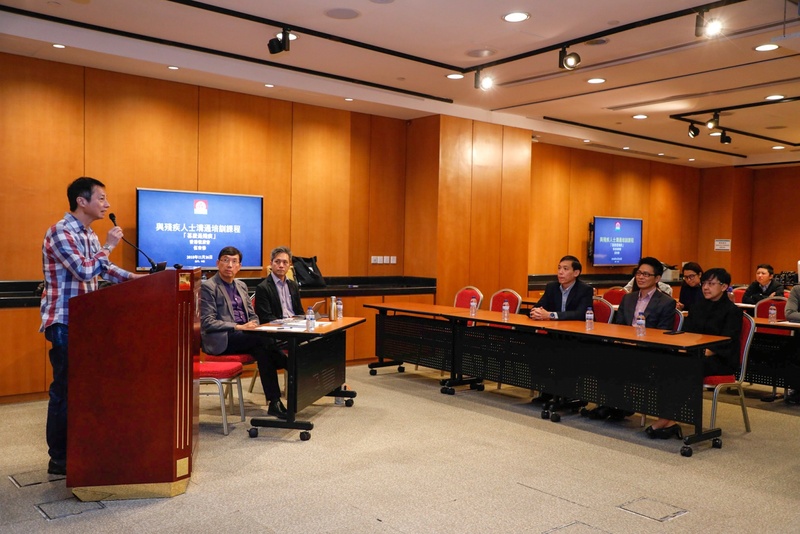 In recent years, the Macao SAR Government has partnered with nongovernment organizations to create an accessible urban environment for residents and visitors, thus raising the quality of Macao as an international tourist city. The internal training session “Communication with people with disabilities” was undertaken by the Hong Kong Society for Rehabilitation, enabling MGTO staff to grow a deeper understanding of people with different disabilities and on how to communicate with them, besides exploring ways to empower people with special needs, through the social environment, to lead a new life as members of the society. 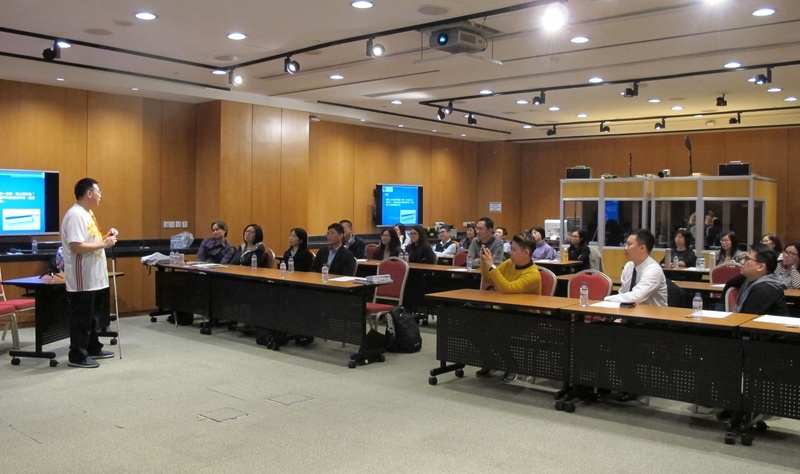 The session also introduced the concept, principle and practice of accessible and universal design as well as key points in the “Architectural standards for barrier-free and universal design in the Macao Special Administrative Region”. By offering the session, MGTO sought to raise the staff’s confidence in communicating with people with disabilities and optimize their service for them, in line with the scheme implemented by the Macao SAR Government to create an optimized barrier-free environment in Macao. Most of the participants are MGTO frontline staff members. MGTO Director Maria Helena de Senna Fernandes, MGTO Deputy Directors Cheng Wai Tong and Ricky Hoi, MGTO Head of Training and Quality Management Department, Doris Leong, Senior Consultant of the Hong Kong Society for Rehabilitation, Ng Hang Sau, and Service Director of Caritas Macau, Philip Yuen, were present at the training session together with others. Professionals from the Hong Kong Society for Rehabilitation, Architecture Design and Research Group Limited, the Hong Kong Society for the Deaf, Hong Kong Blind Union, and Arts with the Disabled Association Hong Kong, lectured on the relevant knowledge and demonstrated for participants, besides guiding them in a range of firsthand-experience activities. The activities offered opportunities for participants to communicate with people with auditory and visual impairments, and also covered arts of people with disabilities and accessibility to arts. 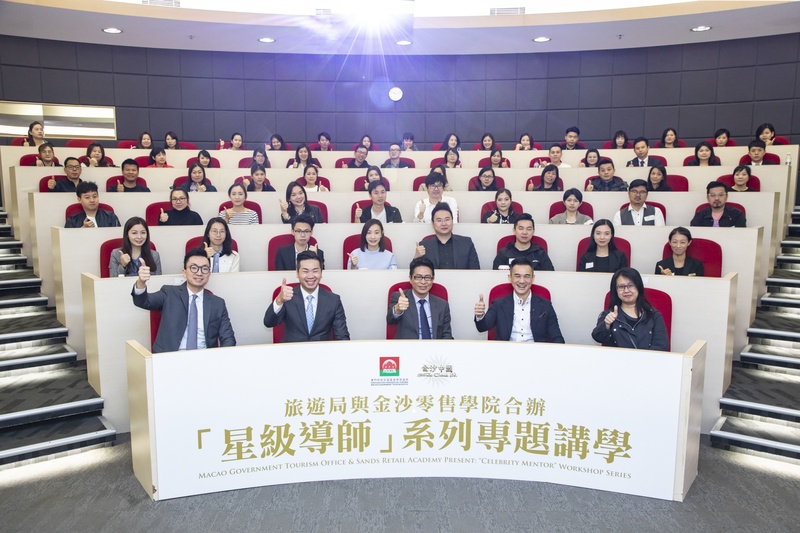 In addition, Service Director of Caritas Macau, Philip Yuen, presented the diversity of social services for people with disabilities in Macao. MGTO Director Maria Helena de Senna Fernandes remarked that this is the first training session held for MGTO staff to learn more about the pertinent knowledge. The SAR Government is currently pushing forward the Ten-Year Plan for Rehabilitation Services of the Macao Special Administrative Region from 2016 to 2025, while the “Architectural standards for barrier-free and universal design in the Macao Special Administrative Region” was launched this year. She hopes that MGTO staff will renew their mindset and work with a deeper awareness in the area. As an international tourist city, Macao aspires to build more thoughtful tourism facilities and services that enable people with special needs to visit different attractions and participate in activities conveniently. In the future, MGTO will continue to partner with other departments and organizations to optimize the urban environment towards greater accessibility. MGTO is dedicated to creating a quality and barrier-free tourism environment for visitors. In the Macao Tourism Industry Development Master Plan, actions plans were formulated for improvement of pedestrian environment, including adoption of a barrier-free pedestrian environment to improve the overall connectivity of pavements. Barrier-free and universal design is built into the tourism facilities managed by MGTO to offer experiences of accessibility for people with special needs, including Tourist Information counters and the Macau Grand Prix themed museum, a project expected to be completed by the end of next year, among others. In addition, the Quality Tourism Services Accreditation Scheme also includes assessments about barrier-free facilities to encourage local businesses to jointly create an accessible tourism and work environment inclusive for the disabled and able-bodied. MGTO encourages local retail professionals to enhance their expertise, adopt innovative approaches and introduce new technology, with the aspiration to enrich and optimize customers’ shopping experience, jointly enhance tourism service quality and consolidate Macao’s image as an international travel destination. 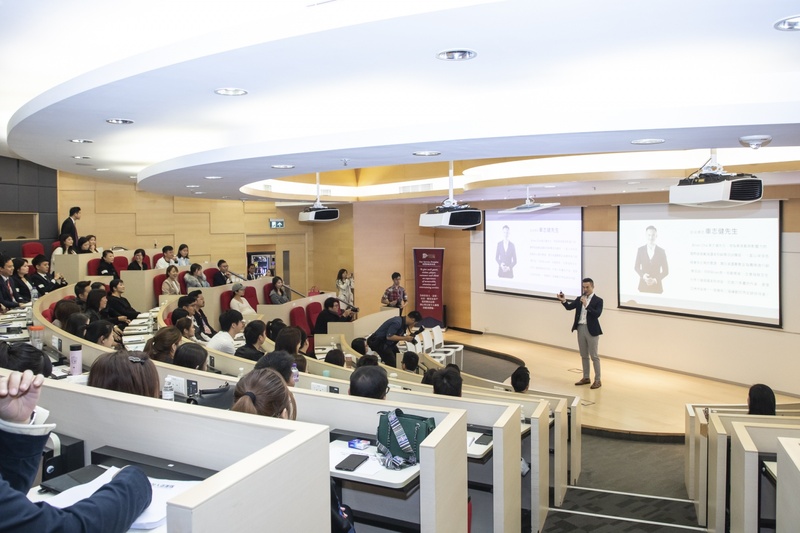 Following the first workshop held in October under the “Celebrity Mentor” Workshop Series, MGTO held the second workshop on the topic of “Sales and consumer mentality” in partnership with Sands Retail Academy once again, tailored for all retail professionals in Macao. The workshop invited guest speaker Brian Cha, a social media influencer, to share his insights and perspectives on the latest sales strategies to boost business gains, tapping into the international market for retail business and adoption of mentality in sales. The workshop drew over 100 sales participants including employees of retail shops in different local neighborhoods and large shopping malls. For years, surveys on visitor expenditure in Macao showed that spending on shopping has continued to account for a dominant share of 40% to 50% in visitor expenditure. According to the Visitor Expenditure Survey for the Third Quarter in 2018, in terms of spending, visitors spent primarily on shopping (50.3% of total), accommodation (24.2%) and food & beverage (18.2%) in the third quarter of 2018. The proportions of visitors who complimented on services of retail shops (82.2%) went up by 2.2 percentage points quarter-to-quarter. 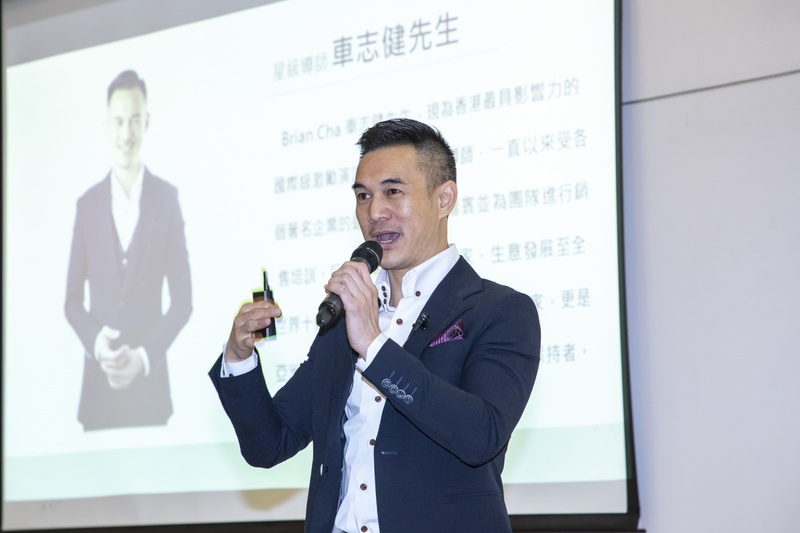 Besides an entrepreneur, Brian Cha is one of the most influential inspirational speakers and sales trainers in Hong Kong. At the invitations of different established enterprises, Cha has shared his insights as a guest speaker and team trainer on sales. The Training and Quality Management Department of MGTO assists in organizing specific professional training sessions, seminars and workshops for professionals in the tourism and related industries, leading to continuous enhancement of service quality and professionalism among the trade, to cater to the growing diversity of visitors from various international markets in line with the city’s aspiration to become a world centre of tourism and leisure.